We all have them. Those circles of hair that spread in every direction and seem intent on causing us to have a bad hair day. When our parents tried to tame our unruly cowlicks as children, many of us ended up with a crew cut just to ensure our hair would look its best no matter what. There are several ways to beat your cowlick; some are well known, while others may surprise you. Weigh your hair down with strong styling gels and mousses. Although they may not feel the best, they will hold your hair in place and are easily rinsed away when you no longer need to maintain a strictly groomed appearance. If your hair is relatively short, try growing it out a few inches. The weight of the hair itself will pull the hair downward, straightening out many of the mild cowlicks you may experience when your hair is short. For people who already have longer or shoulder length hair, try out different styling techniques. Adding a perm or straightening your hair may do wonders for isolating and controlling an unruly cowlick. No matter where the cowlick is, a new style can correct many of the surface issues while helping to retrain hair so that it is more likely to do what you want it to. When all else fails, talk to your doctor about a hair transplant. Hair follicles can be harvested and transplanted during one visit and will help to stimulate the growth of newly revitalized hair. Hair transplants are not just designed to help someone grow out their hair. They are also used to help correct abnormalities in the scalp and prevent hair loss that may be the result of other health concerns. The goal is to receive the maximum benefit with minimal fuss. Take the time to investigate your options. You may be surprised to learn about all of the choices you have available to you. 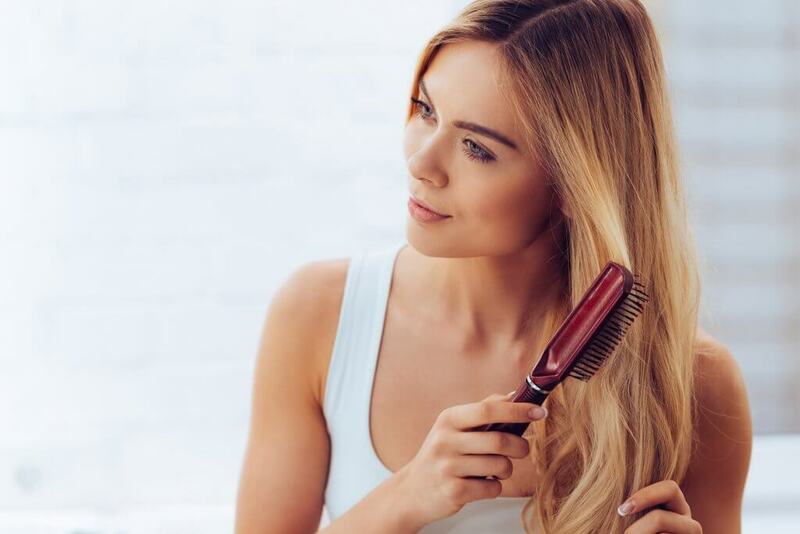 Call Metropolitan Vein and Aesthetic Center at 914-935-7541 if you feel like your hair is becoming thinner and dryer and would like to learn more about the treatment options available to you.